Light box Gallery is an easy usage DotNetNuke module to let you create photo gallery easily and quickly. It uses Light box script that is to overlay images on the current page. It's a snap to setup and works on all modern browsers. Responsive themes support: It supports responsive themes and can work properly with mobile devices. Mobile Devices support: It can detect mobile device automatically. It will show photos in light box on desktop computers or tablets but in detail view page on mobile devices. SPA based on AngularJS: It's a Single Page Application by using AngularJS and WebApi. You can use desktop browsers and mobile devices to visit the demo web site to see the responsive features. You can download 15 days free trial version from the download page of http://www.zldnn.com/Download.aspx . You can create a gallery easily and quickly. 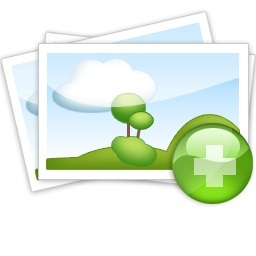 You can add existing photos into the gallery quickly. Support template: you can define display layout in the template. Pagination: you can set page size of the gallery. Interface and look of the module is completely customizable via CSS. Portable: fully implements DNN's IPortable interface enabling importing and exporting content. Localization: fully support DNN’s localization. Using C# as program language. Multi Photos Uploading: upload multi photo easily. The Light box Gallery 7.4 is built in DNN 7.1.2. It can works properly with DNN7.1.2+ including DNN 8.x.